Hanxiang Calligraphy Education, a Chinese calligraphy training school, recently hosted an exhibition of the excellent works created by its students at the Riverside Art Museum from Nov. 2 to 4. The exhibition aims to provide a platform for the students to display their works, and to showcase the achievements the school has made in calligraphy education over the past nine years since its establishment. A total of around 1,000 students, from preschool to adults, submitted entries, and 500 participants passed the screening and entered the exhibition. 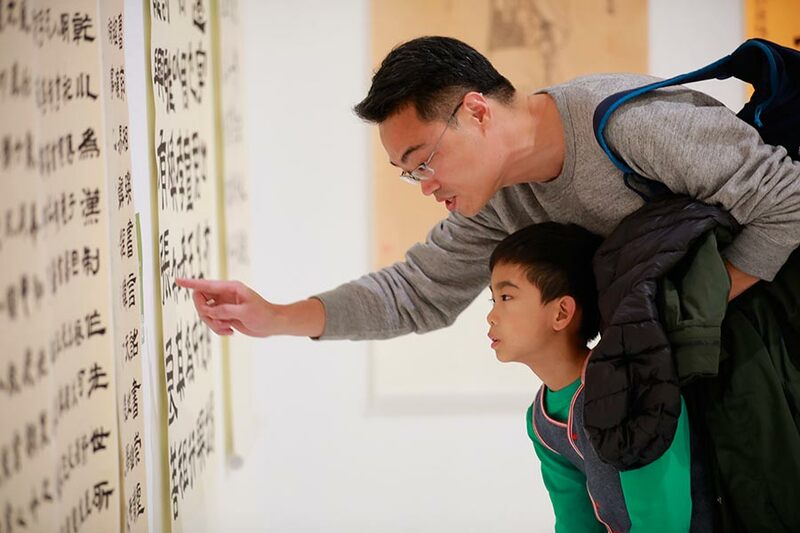 The exhibition displayed over 600 works, encompassing the varied styles of traditional Chinese calligraphy from Zhuan and Li, to Kai and Xing, and also the Chinese painting works themed on plants, animals, humans and landscape. Hanxiang Calligraphy Education hosted an exhibition of the excellent works created by its students at the Riverside Art Museum from Nov. 2 to 4.